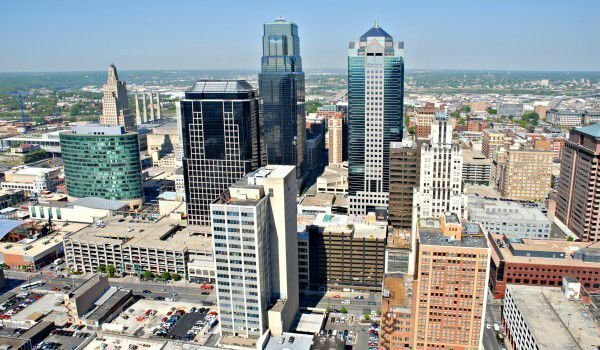 Kansas City is the most popular and largest city in Missouri, USA. It is located in the heart of the United States. Exciting jazz and blues rhythms and many historical monuments, erected in memory of war heroes are some of the things that characterize the city. During the riots, Kansas City was one of the key cities, whose battles were decisive for the course of the Civil War. One of the biggest attractions of the city is the Liberty Memorial. The monument was erected to honor the brave men and women who died during the First World War. The memorial was opened in 1926. It houses the National Museum of the First World War. In 2006, the obelisk was named one of the best sights of the United States. In the museum, visitors will have the opportunity to see one of the largest collections of artifacts, photographs and stories about World War One. Furthermore, in an unprecedented way, the museum was able to carry the guests into times of war, through a special audio-visual simulator. Another interesting landmark is the Nelson-Atkins Museum of Art. The building was built in the neoclassical architectural style and is popular in that it has one of the richest collections of Asian works of art. The design of the building is remarkable, considered as one of the most brilliantly executed globally. The Creative House was founded in 1933, but still keeps much of its attractive interior solutions, combined with some very innovative ones. The territory of the museum is a sculpture and park in Kansas City, in which is located a large collection of bronze statues of Henry Moore and many other talented artists. Perhaps the most memorable focus of the park is a really huge badminton ROCKET. The most populous city in Missouri is proud of its art scene, home of the beginning of many modern music styles. Visitors will be fascinated by the eclectic mix of shopping and culinary delights. Club Plaza Kansas is proof of this. The complex consists of 15 streets, in whose territory there are over 150 shops, dozens of great restaurants and many entertainment venues. The Plaza was built back in 1922 and is one of the first large shopping centers in the world. Some media define the place as one of the most successful urban projects. Coterie Theatre is another interesting place to visit. The scene is a very attractive center for youths. Ticket prices for performances are from 9 to 17 dollars. 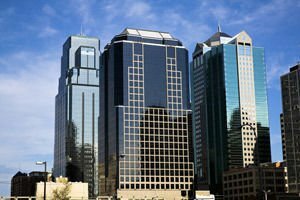 An interesting fact is also that the inner roads of Kansas City are made up of many avenues, more than any other location in the world, except Paris. Adding to this, is the fact that Kansas City has 200 elegant and refreshing fountains, which earned it the nickname "City of Fountains", you cannot miss to plan a visit to this dynamic American city. In fact, KC (one of the ways in which locals call the town) is the second city after Rome, which has the most beautiful fountains. Among the most famous are the JC Nichols Memorial Fountain, Neptune, Mermaid and Bacchus fountains. Special attention should be paid to the Rozzelle Court Fountain, The Firefighters Fountain, The Vietnam Veterans Fountain, Barney Allis Plaza Fountain, City Hall Fountains, Muse of the Missouri, The Children's Fountain, and The Crown Center Fountains. In Kansas City, the stadium is called Arrowhead Stadium. The sports facility is known as the "princes’ House". It is the largest stadium in the territory of Missouri and one of the most visited places in KC. Kauffman Stadium is also one of the landmarks of Kansas City. The facility successfully passed the test of time - evidence for this is that this nearly 40-year-old sports site has received more than 67 million fans. Magnificent water obelisks are located in the Kaufman Stadium, the largest privately based fountains in the world. Kansas City was founded in 1838, where the river Missouri and river Kansas merge. In Missouri, one can still visit the capital Jefferson City and the other three largest cities - St. Louis, Springfield and Columbia.